If you visit Seattle without stopping for seafood at some point, you’re doing it wrong. Seattle is synonymous with seafood, and our proximity to Puget Sound means we have an endless supply of incredible tide-to-table offerings. 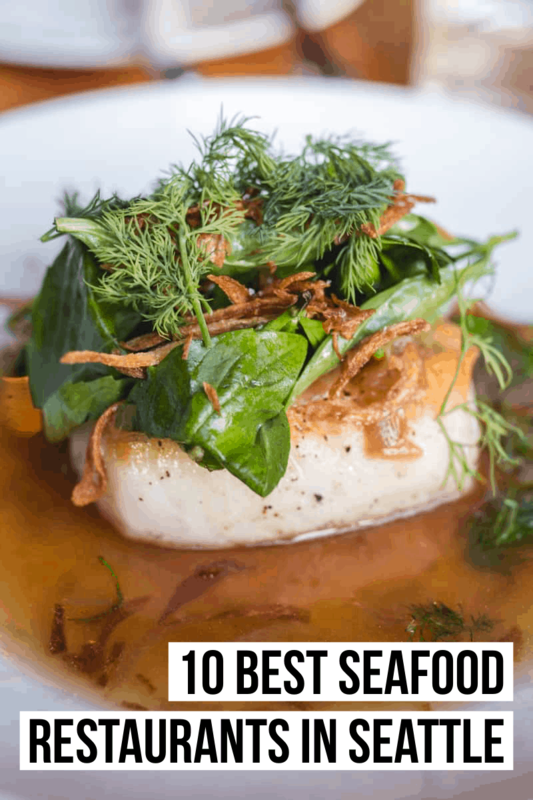 But in a city where seafood reigns supreme, it’s hard to know where to go for a truly fresh and memorable bite. That’s where we step in. We visited the city’s finest fish-focused restaurants to bring you our collection of the best seafood in Seattle, from bivalves to black cod. 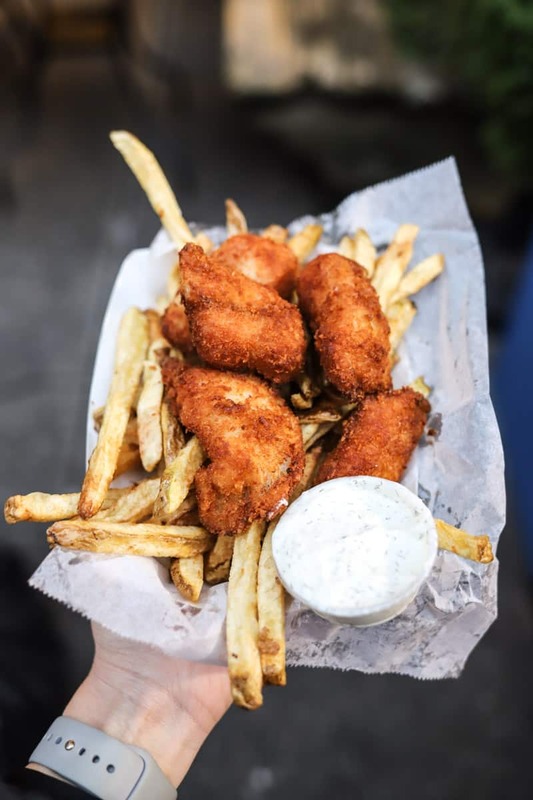 A collection of the best seafood in Seattle is incomplete without mention of the best fish and chips in town (more on that here), and amidst so many options across town, Jack’s Fish Spot is our #1 pick. Hand-dipped in pale ale batter and fried before your eyes, this Pike Place Market favorite is worth navigating your way through the crowds for truly sublime fish and chips. The golden brown outside has the perfect crunch as you sink your teeth into juicy, buttery Pacific Cod. The homemade french fries and tartar sauce are the perfect compliment to this classic seafood dish. 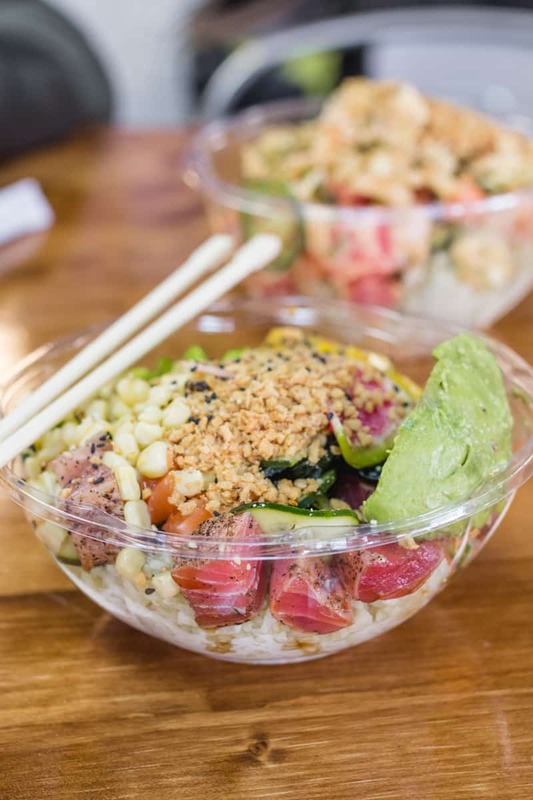 The poke craze, which originated in Hawaii, touched down in the Pacific Northwest in the early 2010s and we’re just as obsessed today as we were then. FOB, which stands for Fresh off the Boat, is a small, vibrant poke bar in Belltown serving up build-your-own bowls of some of the best seafood in Seattle. This is our favorite spot for quick, convenient poke that packs amazing quality and flavor. Start with your choice of base (we highly recommend FOB’s signature jasmine rice blend infused with green tea and coconut), then choose a mix-in or two, take your pick from 13 palate-pleasing protein options including ahi tuna, octopus, yellowtail, and eel, select a house-made sauce, and round it out with as many toppings as your poke-loving heart desires. 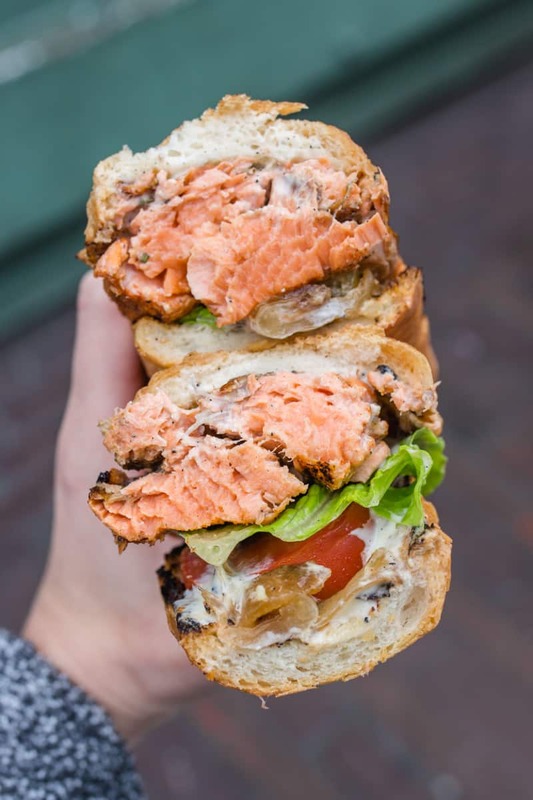 Weaving your way through the always-busy Pike Place Market to arrive at Market Grill may not be easy, but we promise it’s worth it to get your hands on their World Famous Blackened Salmon Sandwich. Picture this: a crispy, grilled baguette, slathered with just the right amount of rosemary-lemon mayo, layers of fresh tomato, caramelized onion, and lettuce topped with juicy, wild-caught salmon that’s been spiced and then blackened to perfection. There’s no denying that this spectacle of a sandwich is considered some of the best seafood in Seattle. Grab a seat at Market Grill’s counter or take your sandwich to go as you peruse and people watch around one of Seattle’s most iconic destinations. 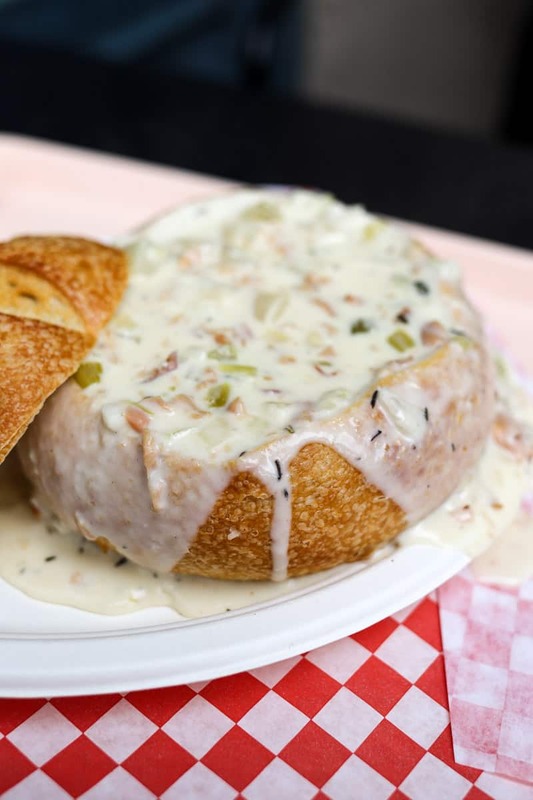 If you’re looking for the best clam chowder in Seattle, and quite possibly in the world, look no further than Pike Place Chowder. 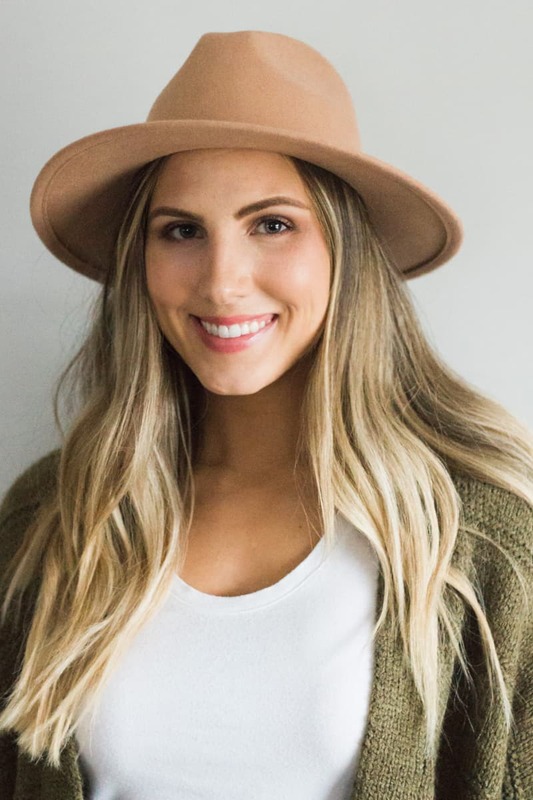 The menu here boasts eight different chowders with flavors like smoked salmon chowder, lime and coconut chowder, and seared scallop chowder- all of which the staff are happy to let you sample before making a firm commitment. We recommend sticking to the OG New England Clam Chowder here for the plump and juicy clams accompanied with bacon, cream, and a blend of herbs. A bread bowl is essential and try to get here on a weekday or right when they open to avoid long lines. To get fresher seafood than what you’ll find at Seattle Fish Guys, you’d need to catch it yourself. Located in the heart of Seattle’s Central District, this premium fish market and cafe is owned by a family of local fishmongers who put their focus on fresh, and it shows. 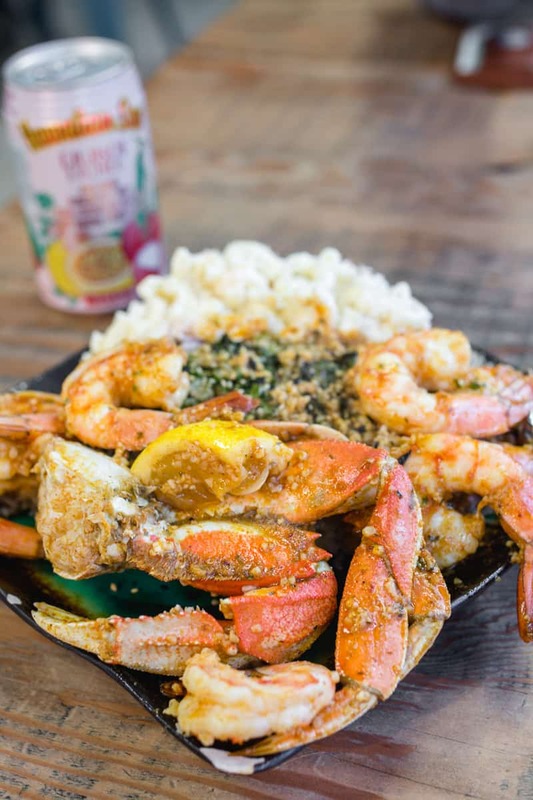 While every item at Seattle Fish Guys is delicious (and we mean every item), we can’t stop thinking about their Cajun Crab and Shrimp Plate. With plenty of napkins and a cold Hawaiian Sun drink on hand, dive into this dish of just-caught shellfish seasoned with butter, garlic, a peppery kick and lemon for brightness. 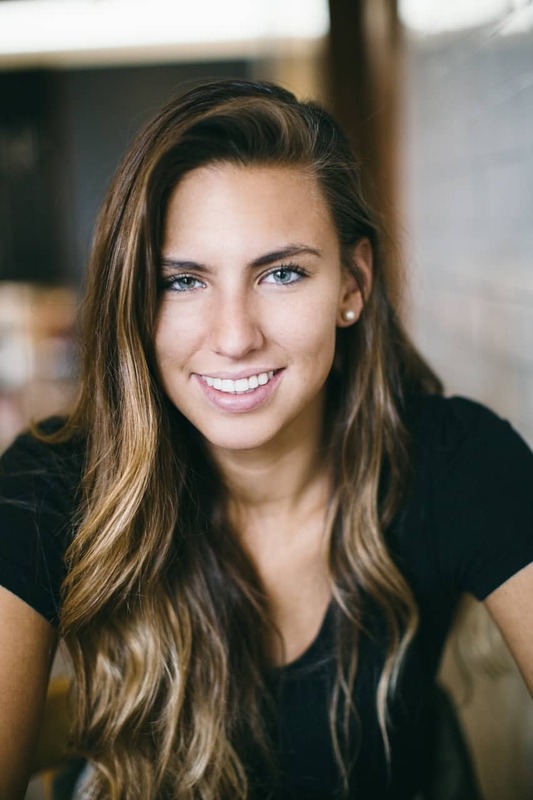 For their incredible quality at a great value, friendly and knowledgeable staff, delivery options, and all-around good vibes, we declare Seattle Fish Guys to have some of the best seafood in Seattle. Guess where we are again- Pike Place Market. 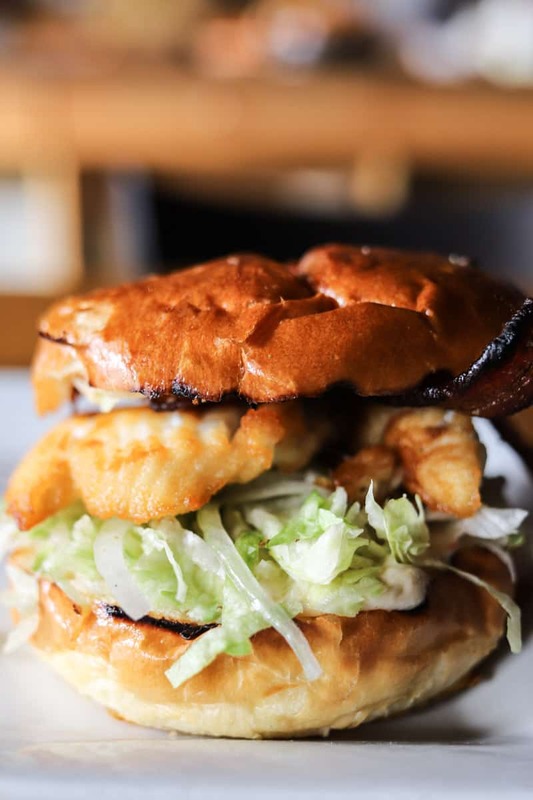 And this time for the Fishwich at Matt’s in the Market, a fresh fish sandwich made with seasonally rotating fish, fried to golden perfection, served with iceberg lettuce, mama lil’s pepper aioli, bacon, and shaved sweet onion on brioche. The textures and flavors of this sandwich are the perfect symphony for some of the best seafood in Seattle. Catfish fans can order the pan-fried cornmeal-crusted catfish sandwich as well, available on their menu all year long. In Hemingway’s The Old Man and the Sea, Manolin is the young apprentice of the wise fisherman, Santiago. In this sense, the name of this exceptional seafood restaurant in Fremont is fitting, because it was opened by alums of Seattle’s famed chef and restaurateur, Renee Erickson (The Walrus and the Carpenter, General Porpoise, among others). Step inside and you’re immediately transported to a tropical destination thanks to the high, exposed-beam ceilings, gleaming ocean-blue subway tiles contrasted with splashes of neon orange, sweeping u-shaped bar, outdoor patio and fire pit, and an abundance of natural light. But if you think Manolin’s upscale, beachy atmosphere is amazing, wait until you try their food. With each bite, you’ll be more convinced that Manolin serves some of the best seafood in Seattle. 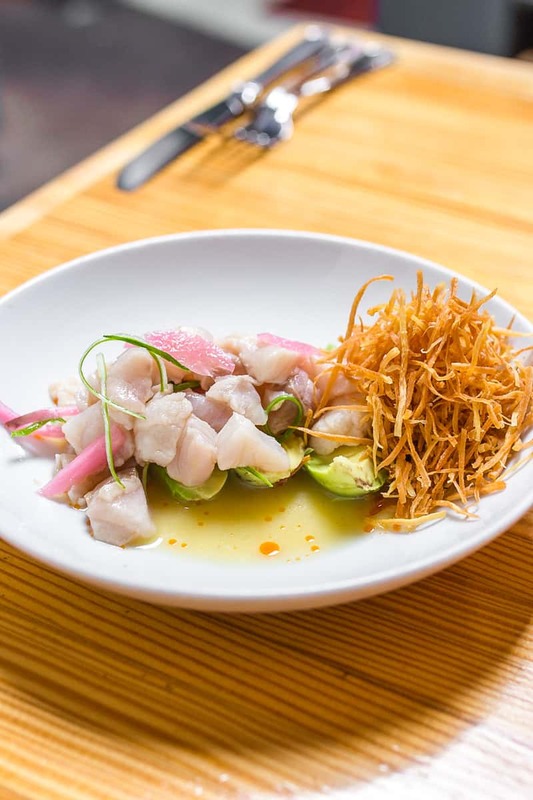 We recommend dining here with a date or a friend and getting three or four dishes to share, making sure to order the Rockfish Ceviche: raw rockfish piled on a bed of avocado, strands of deep-fried sweet potato, and lime juice for a touch of tartness. 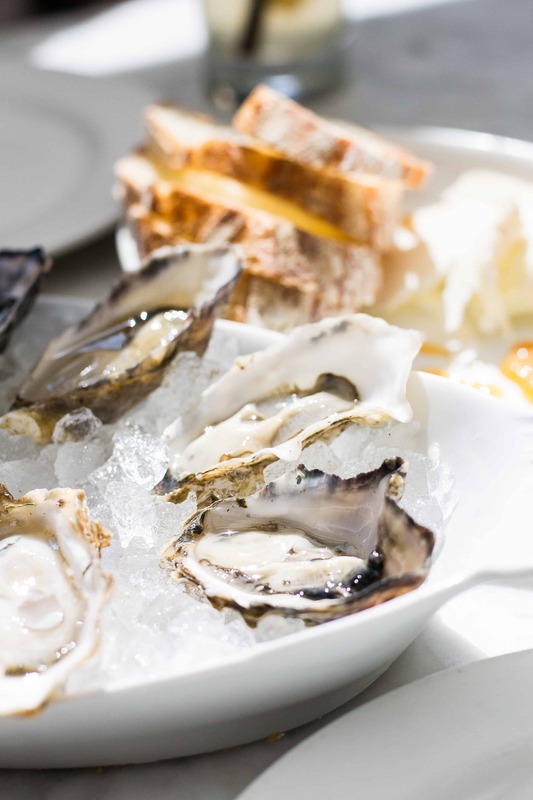 If you’re on the quest for the best seafood in Seattle, then raw oysters are a non-negotiable. Cue: The Walrus and The Carpenter. This is our go-to spot for amazing seafood and in particular our favorite place in town for oysters. Start your meal off with the seawolf bread and butter as you peruse the regularly changing menu. New to oysters? We suggest trying a handful of different oysters that vary in brininess and richness (your server can help you with this) so that you get a real feel for how different each oyster can really taste. Sample as many menu offerings your appetite will allow including seafood, meats, cheeses, and dessert. Sushi Kashiba serves some of the best seafood in Seattle and unquestionably the best sushi in the city (they’re also our number one pick for the best restaurants in Pike Place Market). Both the experience and cuisine at Sushi Kashiba are incredibly authentic and unforgettable. 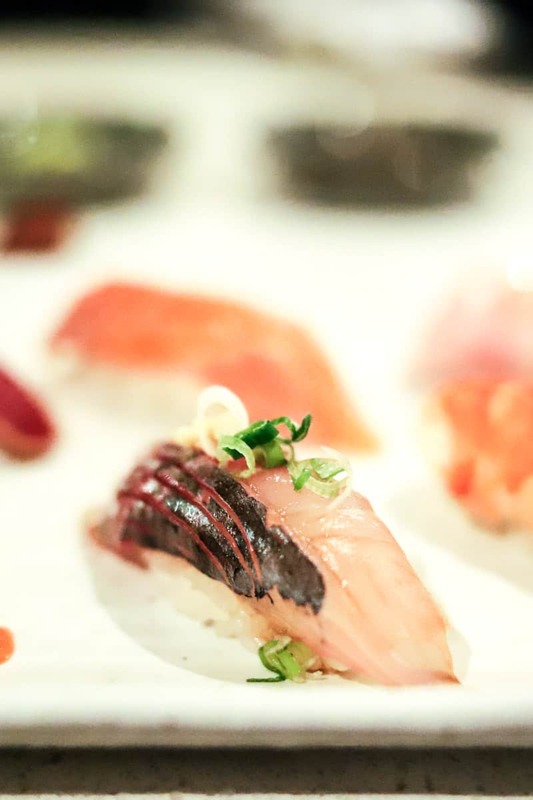 You can order menu items a la carte, but the right way to do Sushi Kashiba is at the chef’s counter with Shiro, Seattle’s first and most celebrated sushi chef, preparing the omakase menu right before your eyes. There are only 14 seats available each night at the counter — no reservations, so arrive prior to opening if you want to try for a seat — but you can make reservations in advance for restaurant seating. This place is definitely a splurge, but worth every penny. Our number one pick for the best seafood in Seattle is RockCreek Seafood & Spirits, hands down. We absolutely adore this airy, lodge-like eatery and its carefully crafted menu full of fresh fish. 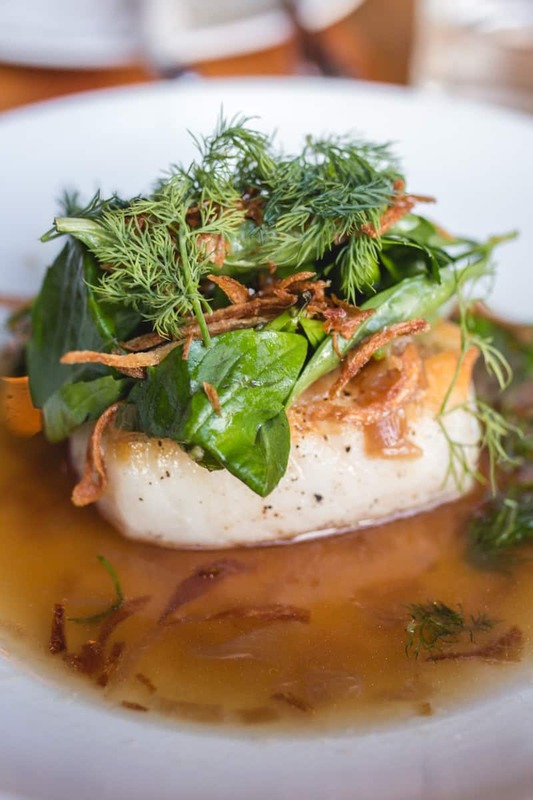 Though there are many contenders, the star of the show has got to be RockCreek’s Neah Bay Black Cod served with a sherry-lime sauce, caramelized shallots, and Provençal herbs. This dish is the stuff dreams are made of. An absolute must-order. The kind of buttery, melt-in-your-mouth goodness you’ll crave until you get to taste it again. We could go on (and on), but we’ll leave it at this: when you need to get your seafood fix in Seattle, RockCreek is where it’s at.